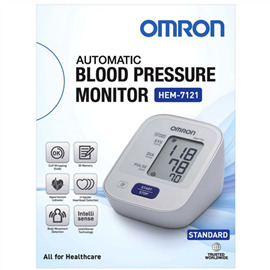 The Omron Standard blood pressure monitor provides simple and accurate blood pressure readings without compromising user comfort. Hypertension, body movement and irregular heartbeat indicator. For people with high blood pressure. Consult your doctor to evaluate the readings. Check your device periodically for accuracy.